According to a report by the Durango Herald, a car with Texas plates went 130 feet off of Red Mountain Pass last Wednesday resulting in serious injuries to an unbelted passenger. The police report stated that the car landed upside down. The two people inside then had to wait hours in freezing temperatures for rescue. The road was closed during a period following the incident for vehicle recovery. This is the second time a car has gone off of Red Mountain Pass this month, with the first time occurring on December 12, resulting in the death of the driver. 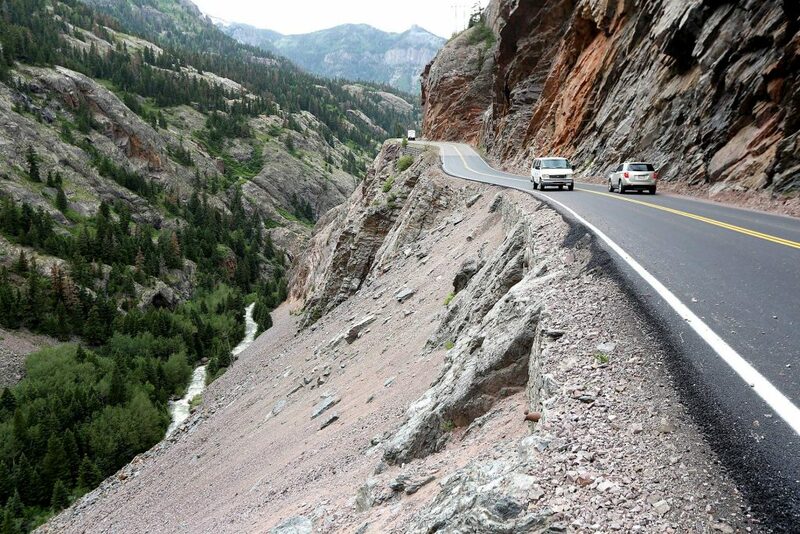 Red Mountain Pass is a notoriously dangerous stretch of road between Ouray and Silverton that winds up and down steep grades with a massive drop-off on one side. The drop is a sheer cliff in many parts. Because the road gets a lot of snow, guardrails are not present to allow plowing. The road is shut down when conditions are deemed too unsafe.